The Wall Street Journal reported on Wednesday that Apple has modified its iPhone supply chain forecast for the upcoming fourth quarter, reducing 5c orders from its two manufacturing partners, Foxconn and Pegatron, while bumping production of the 5s [updated with another affirmation]. Citing sources familiar with the matter, the WSJ claims Apple notified both suppliers that it would be cutting iPhone 5c shipments for the fourth quarter, with Pegatron seeing orders reduced by less than 20 percent, while Foxconn will cut production by roughly one third. Update: Also on Wednesday, Reuters published its own separate story citing its own supply chain source, who also reportedly said that Apple has cut fourth-quarter orders for the iPhone 5c. Analysts estimate Pegatron makes two thirds of all iPhone 5c units, while Foxconn handles the remaining third, the report said. As a result of the trimmed orders, Foxconn has purportedly stopped hiring new workers. In addition to the assembly line slowdown, one iPhone 5c component supplier received word that orders would be slashed by 50 percent. It should be noted, however, that orders placed with a single supplier may not be an accurate gauge of consumer demand. Seemingly buried in the WSJ article is mention of two Foxconn executives who said that along with the iPhone 5c cuts, Apple has raised orders for the more profitable iPhone 5s. The publication did not elaborate on specific numbers or how they compared to the 5c drawdown. Wednesday's report aligns with recent retail inventory checks that showed iPhone 5c supply holding steady, while stock of the higher priced iPhone 5s continued to dwindle. 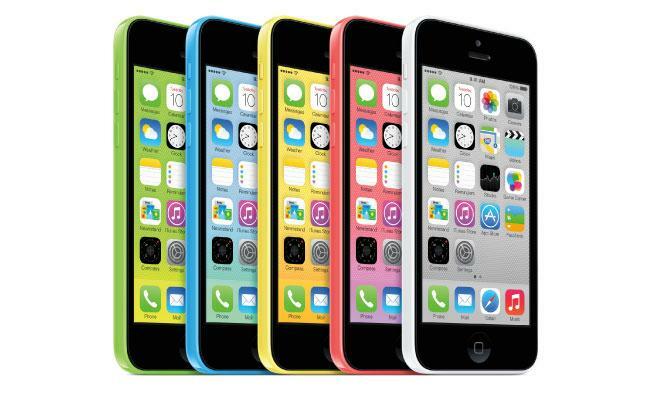 KGI analyst Ming-Chi Kuo also slashed his iPhone 5c shipment model by 33 percent for the September quarter. Apple introduced the pair of new iPhones at a special event in September, with the 5c priced as a mid-tier offering and the 5s positioned as the company's flagship model. The handsets combined to reach a record breaking nine million unit sales over the first three days of availability, though Apple declined to offer a per-device breakdown.